Six decades later, Link Wray’s “Rumble” feels both like rock n’ roll and punk. Our interview with veteran musician Jon Paris sheds light on this guitarist who inspired Jimmy Page, Robert Plant, Johnny Winter, and the Stray Cats. Decades after The Beatles put the city on the map, Liverpool still has a happening music scene with artists like The Isrights, Red Rum Club, and Shards. 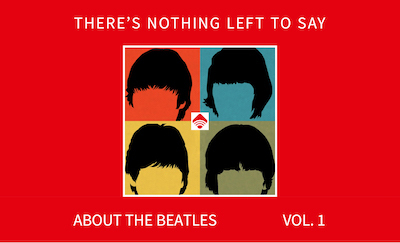 German rarities and Fab Four re-takes are included in these thematic Beatles collections from the ’70s and ’80s. While they may’ve been snubbed by purists, these records actually prove to be more than you’d first guess. With the master tape having been destroyed, the fact that the music survived at all is a small miracle. Don’t deny yourself the chance to check out these adventurous tracks recorded by America’s great jazz visionary.